Event calendar looking sparse? Can’t connect with the artists you want? We’ve got a team for that. MEMI talent buyers have been building relationships within the music industry for over 60 years with their combined experiences. With experience booking venues, festivals, private events, and corporate events of all shapes and sizes, near and far, you can trust our experts to book your room or event to its fullest potential. 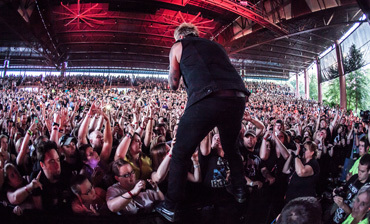 Five venues, hundreds of shows, millions of happy concert-goers. 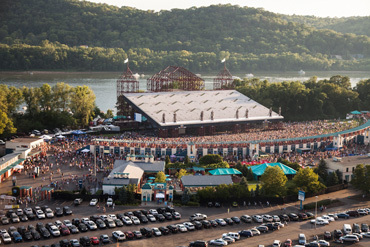 The venue that started it all, Riverbend Music Center, opened in 1984. 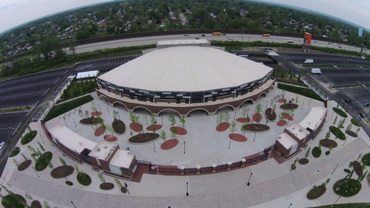 Designed by renowned architect Michael Graves, Riverbend Music Center was built to be the summer home for the Cincinnati Symphony Orchestra and has grown into Cincinnati’s favorite summer concert destination. Ever since then, MEMI and the CSO have continuously invested improving the venue and audience experience. On the hunt to grow the business, MEMI has added venues to the portfolio through the successful process of designing and building two new amphitheaters from concept to completion. Check out our venues page to learn more about what keeps us busy. Have a venue you need a hand with? We’d love to help. Your one-stop shop for all things entertainment, and we do mean ALL things! How can we help? We’ve designed, built, and renovated venues, negotiated with city governments, booked and promoted shows and festivals, managed community-based and private events, and marketed it all in house. What can we do for you? As purveyors of culture and lovers of music and inciting community, if there’s one thing for sure, it’s that MEMI loves a party. So much so that we want to help plan and manage yours. We have been managing and strategizing music festivals and community events since hair metal was a thing. 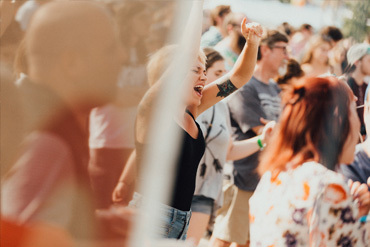 With experiences ranging from Cincy-Cinco Latino Festival to Tall Stacks Music, Arts & Heritage Festival to Midpoint Music Festival to LUMENOCITY, MEMI can help turn your event dreams into realities!